We live in a small beach community where the unemployment rate is said to be over 50%. The infant mortality (29.6) rate is a higher than the national average and many Haitians call this area home too. The Haitian population has exploded here since the earth quakes. There is lots of farm land that is under utilized. 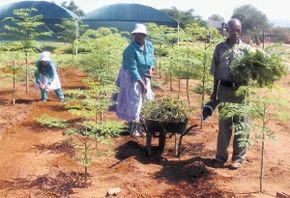 We would like to know more about how we can start a Moringa farm here. I am working on a presentation to my botanical club, I can find a great deal of anecdotical and testimonials about Moringa but not a great deal of technical and research information. Where can I find technical information about Moringa?